On our side physical therapy you can find our new products for HF-diathermy, electrotherapy, suction waves and ultrasound therapy of different manufacturer. The CAmed Medical Systems Corporation offers you also the complete service and reparation for all units of the product group physical therapy. The microwave device for radiation thermotherapy. The RADIOTHERM® 1006 generates constant and pulsed microwave energy for thermal and non-thermal applications. The new standard in short-wave therapy. 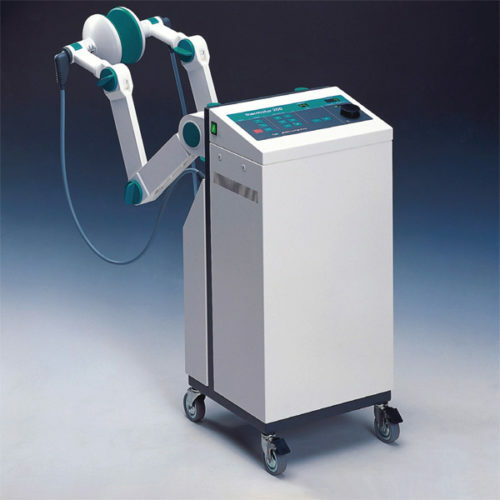 The ULTRATHERM® 1008 short-wave therapy unit sets new standards for its class. It still employs the ideal energy source, a high-performance vacuum tube, which allows both the capacitor (condensor field) and the coil (induction field) techniques to be used. 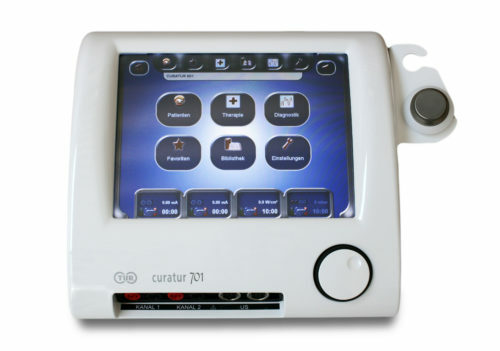 thermatur 200 is a versatile short-wave unit with an automatic tuning device, suitable for continuous and pulsed therapy. 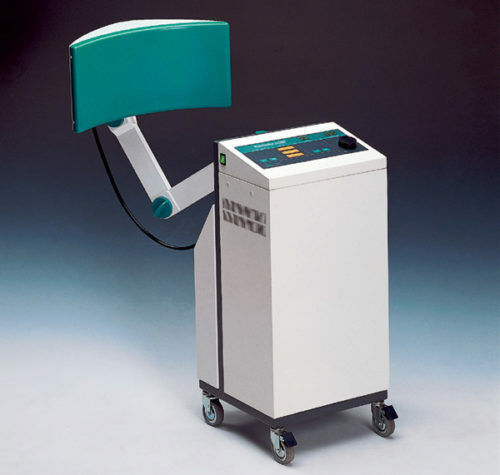 The shortwave therapy unit ensures a deep but comfortable heat radiation. With the variety of different radiators the microwave treatment offers a diverse field of application. The radiators vary from large-sized body radiators down to applicators used for the direct treatment within body cavities. Thermatur m250 guarantees a quick and directed heat radiation, whereas the patient perceives the treatment as very pleasant. 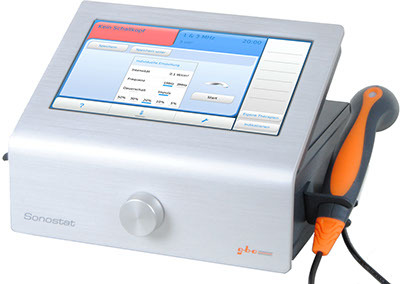 The new Duodynator® by gbo Medizintechnik AG has a large spectrum of therapies. At the same time the user interface is so clear, that it offers a maximum level of usability. With one single touch the user can select a therapy from his personal list of favorites. This comfort therapy unit is the new benchmark in Electro Therapy. The unit works with a three-dimensional interference current generated through the superposition of three middle-frequency currents. It can be used as an Electro Therapy device, ultrasound therapeutic device and for the combination of electrical stimulus current with ultrasound. The stimulating lower frequencies are already generated through interference of two phase shifted circuits in the area being stimulated. The additional third electrical circuit generates, as opposed to classical interference methods on one side a slower change in intensity and on the other side a rhythmic shifting of the interference field. These dynamics of the area being stimulated and the intensity decrease the habituation effect and therefore improve the therapeutic effect. The all-rounder for therapeutic convenience: Electrical stimulation therapy, Ultrasound therapy and Combination therapy Experience the ability to combine leading edge technology and ease of use. Discover the variety of clinical and therapeutic applications and satisfy your patient with professionalism. The innovative equipment for electro therapy: 2 galvanically separate channels, more than 25 types of current available. The SONOSTAT® 133 with its different frequencies (1 and 3 MHz) and easy handling is the ideal start into Ultrasonic Therapy. The modern high-tech design with a brushed aluminium surface and the 10” TFT LCD full colour touch-screen monitor are significant quality characteristics of the new Sonostat®.